25Â°C & 40%RH, 40Â°C & 25%RH , 30Â°C & 35%RH. 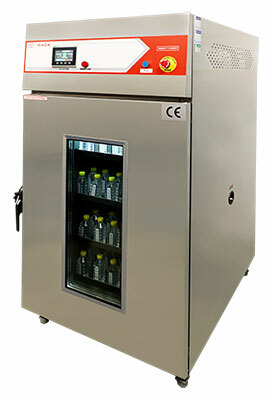 Stability Chambers are used in performing â€œStability Studiesâ€�. Stability studies provide an evidence on the changes in the quality of product with Time, under the influence of varied environmental factors: Temperature, Humidity. Evaluation of product (API or Formulations) under recommended storage conditions, ( with appropriate tolerances) that test its â€œThermal Stabilityâ€� & if applicable, its sensitivity to moisture. Inner Working Chamber is fabricated of â€œStainless Steelâ€� (matt finish) & Exterior is of G.I. Powder coated OR stainless steel: sSS304 or SS3016 according to the needs of client or user. 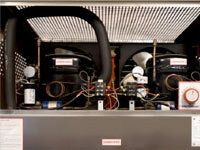 The inner working chamber is water & vapour tight high-grade stainless steel. All seams are arc-welded & passivated for strength& durability. 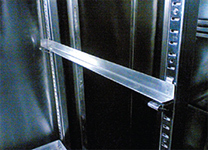 Single Door with a â€œViewing Windowâ€� (of Toughened Glass) for easy inspection & viewing the samples without disturbing the set environmental conditions of the chamber (by opening the door). 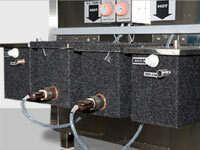 â€œBullet feetâ€� ensures easy mobility during installation & cleaning. Bullet feet are specially designed for longer life under heavy load with built in screwing adjustment â€œfor accurate horizontal levelling of the chamber). Inner working chamber is provided with a fluorescent tube for illuminating the chamber to view & inspect samples visually. Heavy duty solid stainless steel duly electro polished perforated trays are provided, which are easy to clean, saves time & efforts while cleaning, & also height adjustable for convenience with the help of channels. (Height Adjustable every Half an inch). Other Sizes also available as on requirement.